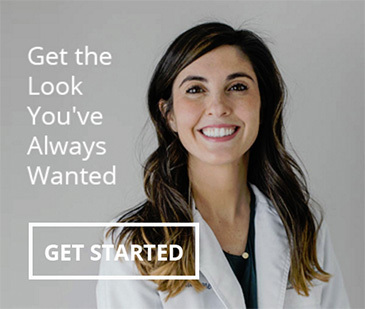 Get a Beautiful Smile with Dr. Gulia Omene, Your Paoli Invisalign Preferred Provider. Do you want a straighter smile but don’t want the wires and brackets that come with braces? Omene Family and Cosmetic Dentistry can help! Invisalign is an innovative and non-invasive treatment that uses smooth, transparent, and detachable aligners to move your teeth similar to traditional braces. Invisalign braces are a great choice for people wanting a more discrete orthodontic treatment option and can be worn by patients of all ages. Invisalign clear braces use a series of custom-made, computer-generated, plastic aligners to straighten your teeth. Each set of aligners makes a small change to the alignment of your teeth. As you switch sets of aligners (about every two weeks), your teeth will gradually, gently be guided to their proper positions. Invisalign isn’t for everyone. For example, Invisalign is not the best choice for people with bridge work, teeth that need to be moved vertically, or who are unwilling to wear the aligners as often as needed (roughly 22 hours a day). The typical price of Invisalign braces is usually a bit higher than regular braces. Many dental insurance plans cover Invisalign treatment the same as any other orthodontic treatment. When you come to our office, we will provide detailed cost estimates and explain what is and isn’t covered by insurance so you can make an informed decision. We offer a wide range of payment plans and options for our patients. Both traditional and clear braces are designed to straighten teeth while improving your smile and overall oral health. Both need follow-up visits and require you wear a retainer to hold your repositioned teeth in place. At the top of the list of pros for many of our patients is the fact that Invisalign braces are discrete, comfortable, removable, and easy to clean. You have the option of going brace-free on special occasions when you simply want to look your best. The downside to Invisalign braces is the increased cost, the temptation to leave your braces out more often than you should and, as with traditional braces, you may have some discomfort as your teeth shift and realign. Omene Dentistry is in the heart of Paoli PA. We are a short walk or drive from the Paoli train station and have lots of free parking at the front and back of the building. Many of our patients have said they find us extremely convenient because of the proximity of the train station and because they live, work or go to school in Paoli or the neighboring communities of Malvern, Berwyn, Devon, or Exton PA. We ourselves live close by and love the neighborhood! During your initial visit, Dr. Omene will assess your situation, discuss the pros and cons of traditional versus clear braces, and recommend the best solution for you. You will have lots of opportunity to ask questions. Dr. Omene is an Invisalign Preferred Provider. 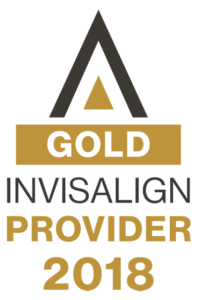 That means you can take comfort in knowing she has achieved a significant level of experience in treating patients with the Invisalign system. Please give us a call (610-644-5547) or fill out our contact us form if you have questions or would like to schedule an appointment for a free consultation with Dr. Omene. We are here to help!